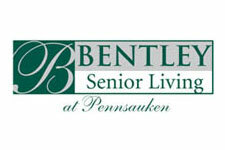 Bentley Senior Living is a senior living community dedicated to the mission that every resident, and every staff member, is a vital part of our extended family. In keeping with that commitment, our ‘family values’ are the guiding force behind everyone, everything and every day at Bentley Senior Living. Our staff of senior living professionals is highly experienced, knowledgeable and caring, devoted to making certain that our residents are always treated with respect and dignity and that they receive the personal attention they deserve — whether it’s help with the challenges of daily living as they grow older, or simply lending a listening ear as a resident recounts a beloved story. Indeed, Bentley Senior Living is redefining excellence in senior living by ensuring that each one of our residents enjoys an independent lifestyle, and yet, they and their loved ones will know that the finest senior living services and healthcare are here. Residents have several living and amenities options that provide everything you need for comfortable, gracious living.